AxisTechnoLabs having good expertise in Magento web application development, Magento eCommerce Development and Magento Theme design & Integration. We have 10+ well trained and experienced developers team for Magento development. We are working on Magento web application development since last 2 years. 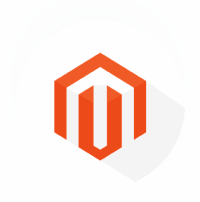 Our teams having highly skilled and well qualified professionals has hands on experience on Magento Customization, Magento eCommerce Development, Magento Website Design, Magento Template Design, Magento Module Development, Magento Module Integration, Magento website redesign and enhancements. AxisTechnoLabs is Magento eCommerce development Company focusing on long term relationship with its clients globally. You can hire experienced Magento developers for eCommerce website and online ecommerce store, You can hire on - Full Time - Part Time & Hourly basis, - Hire Theme design and Integration designer as per your business needs. Call on our expert team for php development, Iphone and Mobile development. Fill out the form on the right, give us a call at +91-9825950990 or contact us today to receive your free consultation. Magento development company provides you best solutions for your business needs.